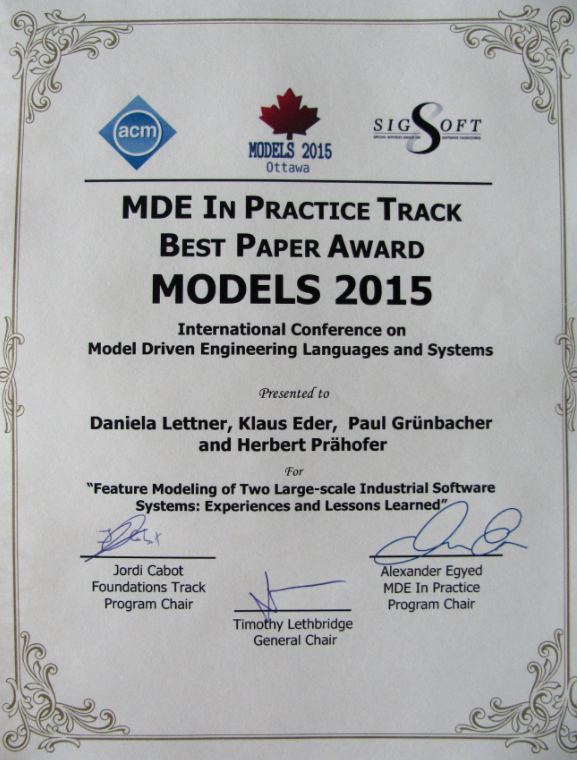 received a Best Paper Award at the MDE in Practice Track at the ACM/IEEE 18th International Conference on Model Driven Engineering Languages and Systems (Ottawa, Canada). 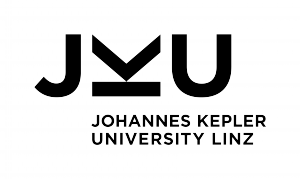 The work was performed in collaboration and with support of our industry partner KEBA AG. 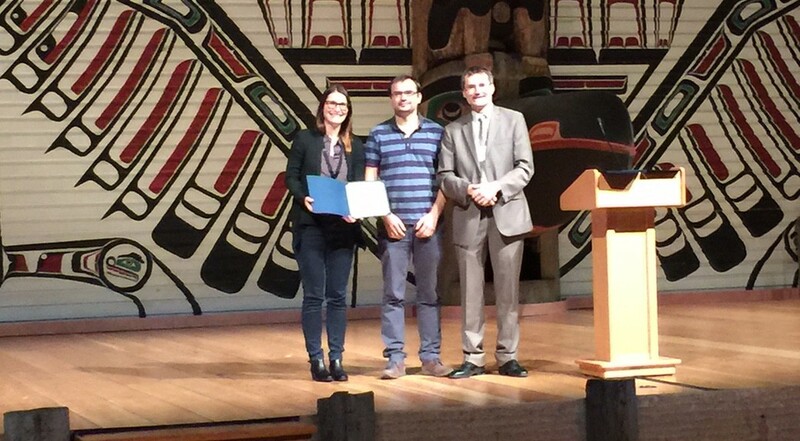 The award was presented to Daniela Lettner (Rabiser) on October 1st, 2015 by Jordi Cabot (ICREA-UOC Barcelona, Co-Chair of the MDE in Practice Track) and Timothy Lethbridge (University of Ottawa, General Chair of MODELS’15).